A very special lady…my sister, my friend! Miss you, miss your smile. I can’t believe it has been 11 years since we last talked on the phone. It seems like it was just last week. The time has gone by, and so much has changed, but my memory of you is still the same. You were my protector, my friend, and my confidant. We laughed and we cried together, and sometimes, we even laughed so hard, we cried. Oh how I wish you were here, so that we could share these days together. The days of our empty nest, and amazing grandchildren. The days we talked about so much, and we were so looking forward to going through together. Sharing in each others joy and crying on each others shoulder, talking and listening and learning from each other. And don’t forget…laughing too! Lots of laughing I’m sure! But for reasons I will never understand this side of heaven, it just didn’t work out that way. So on this day, as well as many others, I remember you and the very special person you were to me and to the world! You will always be in my memory, and forever in my heart. Thank you for your unconditional love to me. I love you! He’s my big brother, and my only one! He came to visit me from Arizona – stayed for a few days, and is on his way home today. We enjoyed some good food, and watched a few good baseball games together. My team actually won 2 games in a row! Relaxed a lot, shared memories of the “good old days“, and made a few new ones together. I will have to admit, being his little sister as an adult, is so much better than being his little sister as a kid! Nothing bad, just the typical annoying little sister thing. Hopefully, I don’t annoy him as much anymore – and if I do, well, he doesn’t let me know! He’s a good big brother, and I’m glad he’s mine! 1. 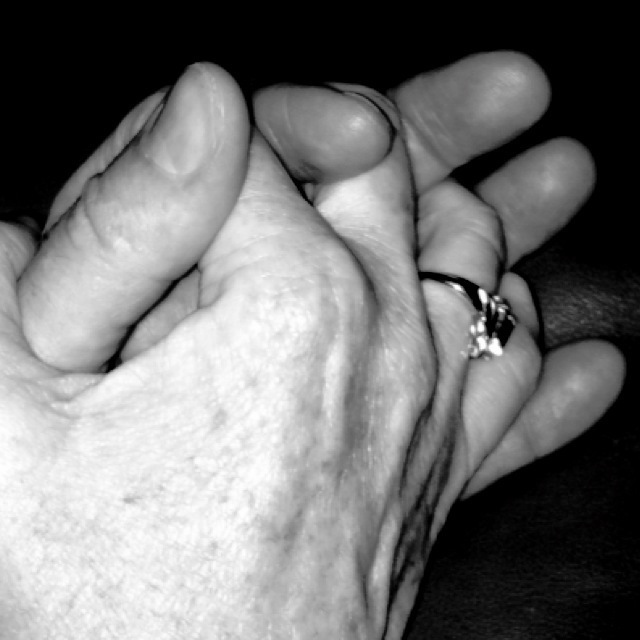 Our hands entwined, forever! 2. 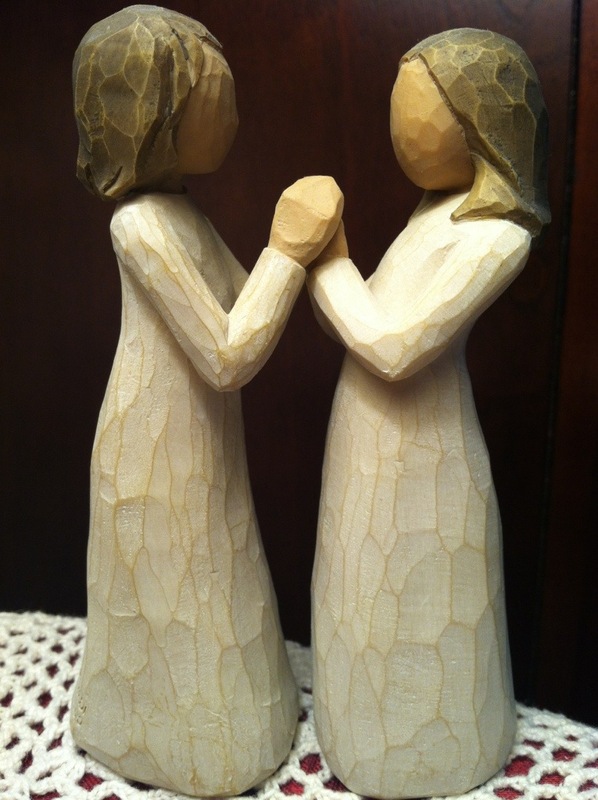 A symbol of two sisters, and a reminder of how their lives entwined with mine. They are gone now, but I will never forget how their lives touched mine. 3. 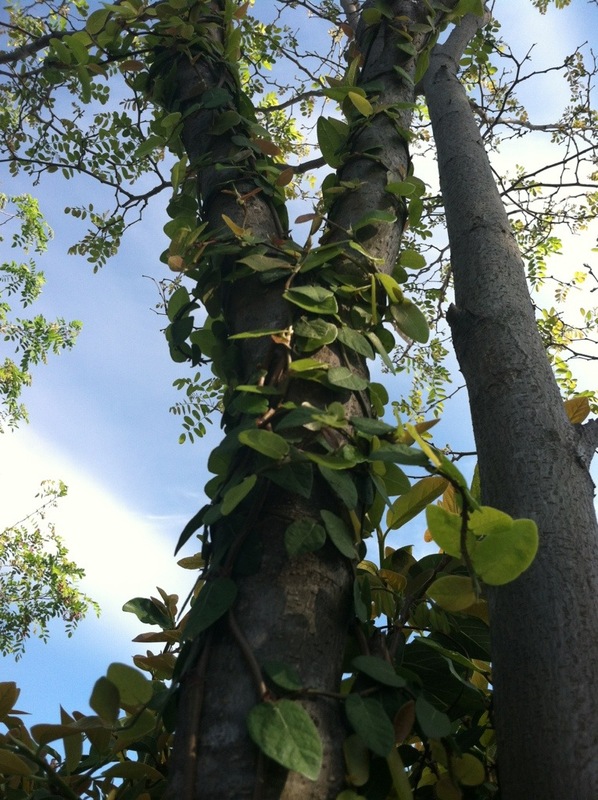 The fig vine entwined around the tree in our backyard. A few weeks a go I was feeling a little overwhelmed by Christmas, and all of the events that would take place in the month of December. I was determined to not let it get the best of me, so I gave myself a few goals. My goals were to relax and enjoy each moment of the season. Celebrate time-honored traditions, reflect on the special family memories, and be willing to make new ones! No two Christmas’ are ever alike, and this year was no exception! I spent Christmas Eve and Christmas Morning with my very best friend. We went to the Hotel Del Coronado to see the huge Christmas tree, one of our time-honored traditions! We had good conversation and a great dinner at a quaint little restaurant. We laughed, we looked at the lights, we wrapped presents, and drank coffee together. On Christmas morning, we exchanged a few, very special gifts. Gifts that we will treasure because of the love and the thought that was put into giving them. I also learned a very valuable lesson, and it was probably my best gift of the year. I learned that sometimes the unplanned events and moments can be the very best moments of all! The month was filled with these moments, Christmas day included. I wasn’t able to be with my own kids at Christmas, but I did get to hear their voice, and the voice of my grandkids. An unplanned moment, and priceless gift indeed! The afternoon was spent with my best friend, my mom, my niece and her husband. The plan for the day had always included lunch with my mom, but the bonus was my niece and her husband. They were a much welcomed, surprise visit! Another unplanned moment. I was able to celebrate Christmas with my sister’s daughter. I know she really would have liked that a lot, and that makes me happy. It was great to spend time together, talking and laughing, and enjoying the comfort and love of family. And…I also met my goal! In fact, I think this Christmas is going to hold a very fond memory for me. I’m glad I gave myself these goals. Especially the goal to try and enjoy each moment, because the moments, both planned and unplanned, were good, and I really did enjoy this Christmas! A perfect ending to beautiful day! Mission accomplished! This time last week I was traveling north to be with my daughter and her husband, to celebrate the 1st birthday of our youngest grandson. A sweet little blue-eyed boy, with a sparkle in his eyes, and the infectious belly laugh of a one year old. Happy Birthday, little guy! I love you so much! This time last week, 26 lives were ripped from this world in a horrific shooting at a grade school in Newtown CT. The lives of mothers and fathers, sisters and brothers, grandmas and grandpas, were changed in ways that I can’t even imagine. Changed in a way I don’t want to imagine, because it should never have to be imagined. It just shouldn’t be. The extreme contrast of the two did not go unnoticed by anyone in my family. Our event was to celebrate a life, a milestone. In Newtown, they were mourning. It was a tragedy. Plain and simple, as there is just no other way to describe it. My heart, it is so full. It’s full and overflowing with the memories of the week-end, and struggling with the wide range of emotions. The sorrow for the families who are in so much pain. The blessing of a wonderful husband, the gift of amazing children, and the joy of precious grandchildren. I feel a little like Mary right now, “pondering all these things in my heart“. It was a very special moment in my life. Our time together as a family was full of laughter, and hugs, and smiles. In Newtown, there are only hugs and tears. And once again I am made aware of life and its brevity. How abruptly it can end, and how important it is to cherish my family each moment that we have together. I am reminded by the powerful message of the inability to control, and I am overwhelmed by the security and knowledge that we are all in the Hands of God.